There have been a few music cassettes and CD's made containing C64 music and remixes, some have been included with the game (Outrun, 720' and Platoon), others have been a cover mount cassettes (Zzap Sampler and Radio Ace), while some like Datahits were a commercial cassette made by WH Smiths. Datahits, The Zzap Sampler, Radio Ace are just a few, there are many more. 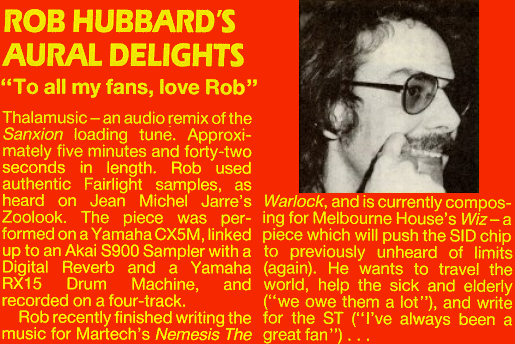 MUPADOS took the Commodore into their recording studios and exploited its musical capabilities to the full! 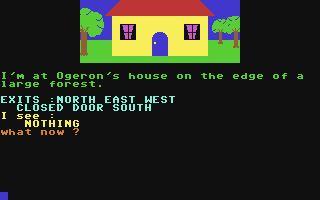 Now you can hear the theme tunes from these top games as you've never heard them before! DATAHITS gives computer-generated music room to move - AND HOW! 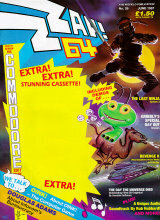 supplied by Music Sales Ltd.
Zzap!64 magazines first cover mount cassette. 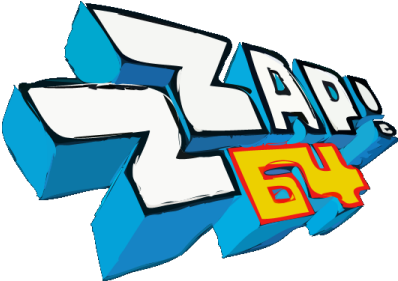 The Zzap! Sampler inlay card front and back. 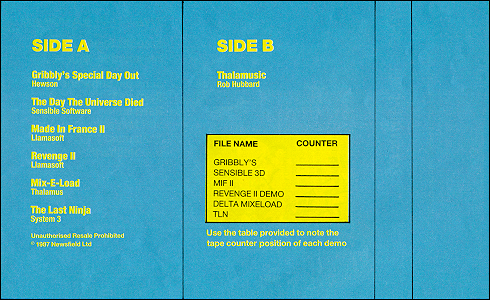 Side B contained a remixed version of Sanxion called Thalamusic. 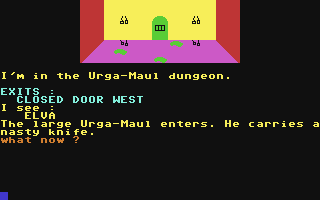 The tape counter is just a guide. 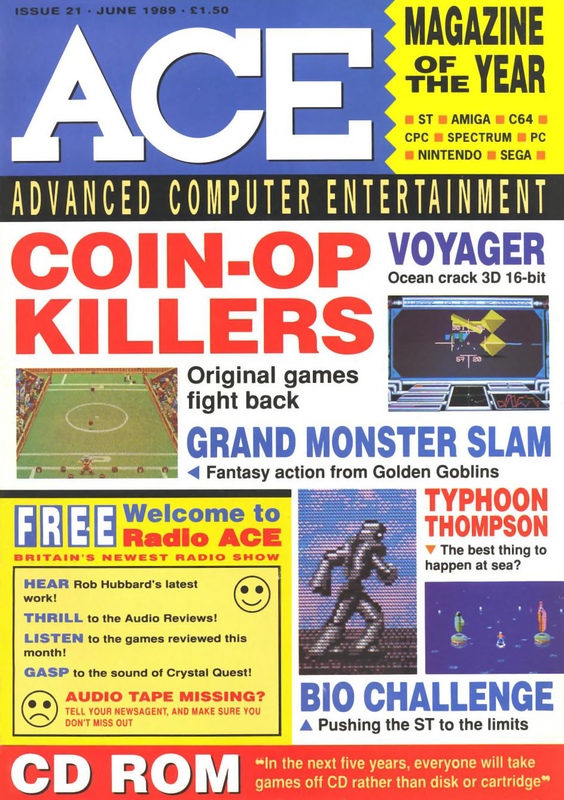 A radio style release by ACE Magazine (Issue 21 June 1989 - £1.50). The all formats magazine' had a cover audio cassette that was called 'Radio ACE'. Radio Ace Part 1 and 2 recorded from audio cassette, edited and encoded by Ben. 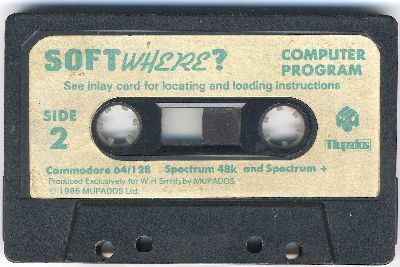 Other tunes were recorded from the audio cassette, edited and encoded by GameStone. 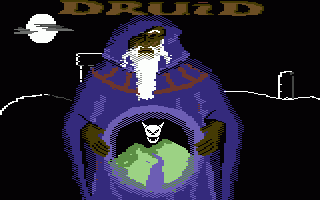 Here are two recording taken from my actual C64, recorded back in 1992, not the best sounding recordings but they are from actual hardware so they have that classic feeling. Kentilla by Rob Hubbard, this is a fourteen minute tune!!! Monty on the Run, Thing on a Spring and Thrust (Rob Hubbard) were recorded using a cable so the quality is much better. 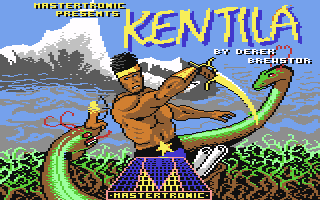 These tunes were not originally recorded by me but by Kenz of Binary Zone back in 1989-1990 on cassette then transfered by GameStone to the PC some years later. Dutch Breeze Intro (taken from Robocop III) by Jeroen Tel. The other tunes I have no idea where they are from originally. Here are some recordings that were done a very long time ago on the Atari ST, they were recorded by my brother onto Mini Disc back in 1995 and then transferred by me to the PC using a TOS link (S/PDIF) connection for the best quality in 2006, I no longer have the discs or the player so this is the best quality you are going to get. 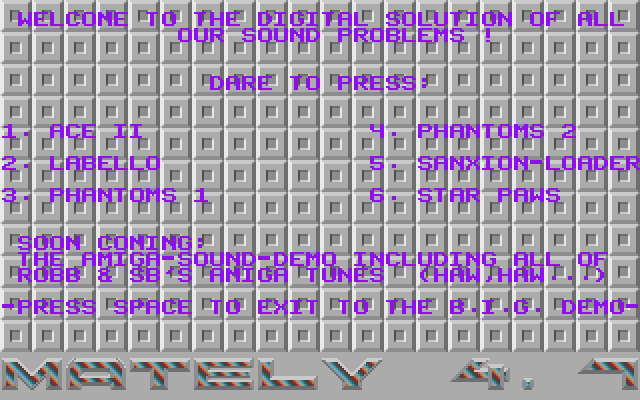 These tune were recorded from actual Atari ST hardware and not emulated. 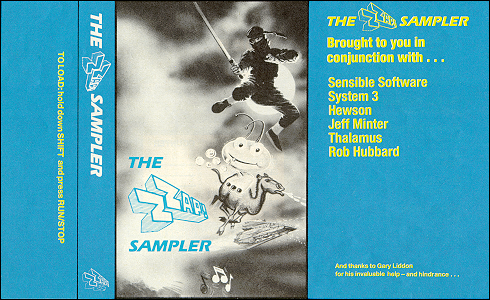 These tunes were taken from two very popular demos on the Atari ST. 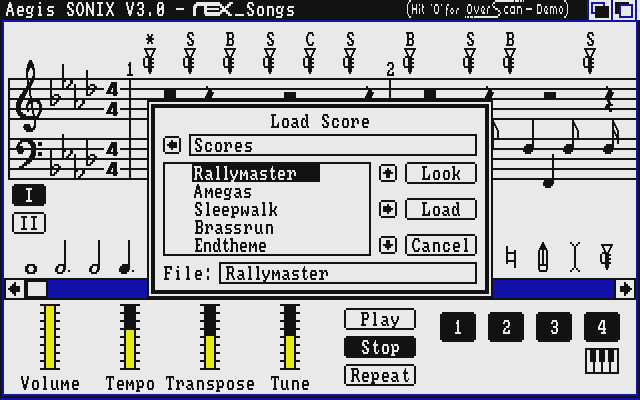 This had hundreds of tunes but if you scroll right to the bottom you had the digital section containing six tunes. Amiga synth tunes on the Atari ST. 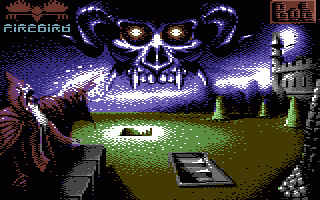 Here are the two st formatted disk images for use in an Atari ST emulator like Steem. 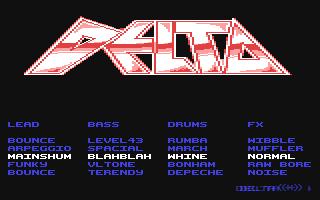 Here's a small bonus also recorded from the Atari ST.
Chris, a friend of my brothers recorded this Rob Hubbards Mix-E-Music (aka Mix-E-Load) load system use in the game Delta by Thalamus (the version on the Zzap! 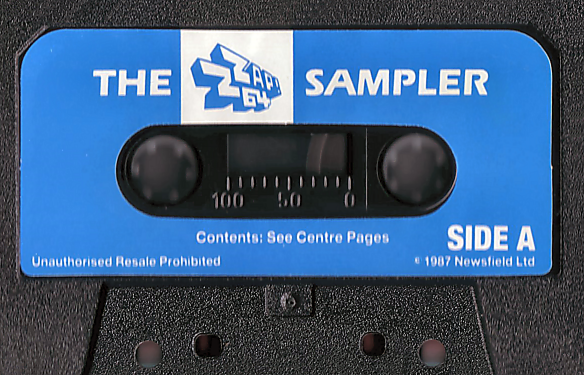 64 Sampler tape). 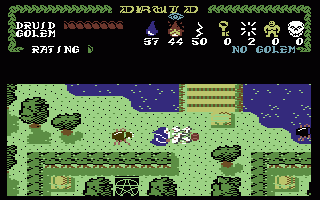 After listening to the original recording taken from his C64, I've decoded the order of what was played to make this version. 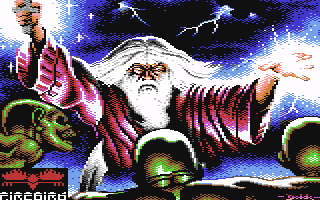 Recorded from Chris's original C64 using the Zzap! 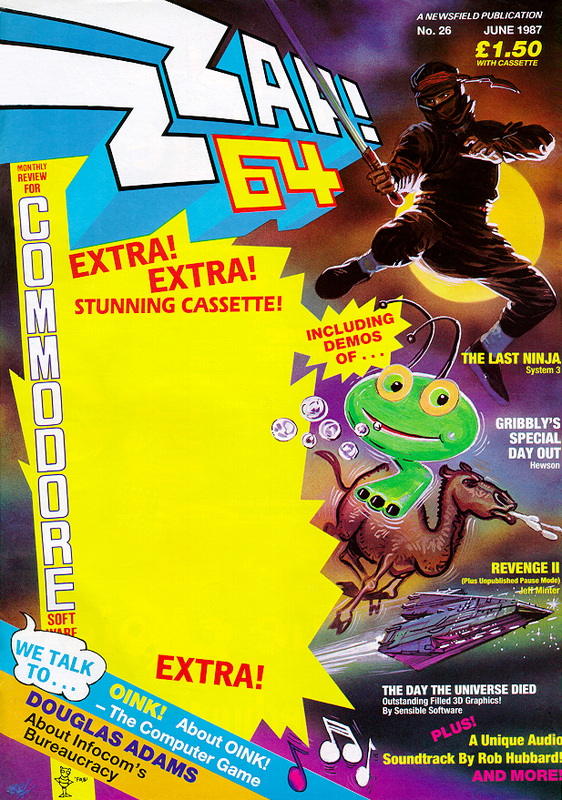 64 Sampler cover mount cassette, Issue No 26 June 1987. 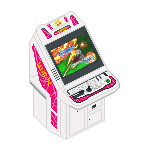 This version was recorded on the PC using the WinVICE emulator, much clearer sound. 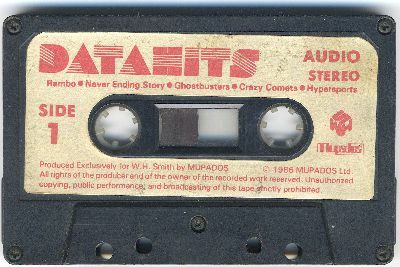 All tunes were recorded from audio cassettes, actual hardware, edited and encoded by GameStone.